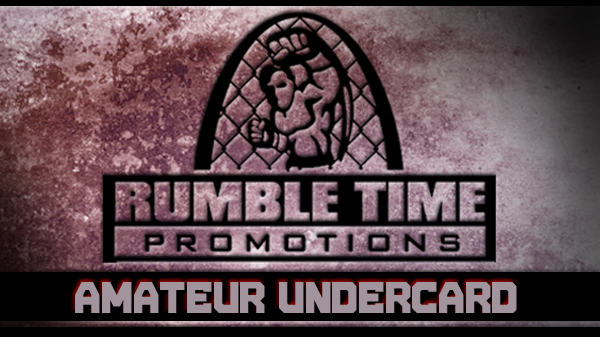 When the Rumble Time bell rings on Friday night at the Ameristar Casino it will be the amateurs leading things off. Seven bouts slated on the undercard featuring amateurs from several of the area's top training facilities including: St. Charles MMA, Gracie Humaita St. Louis and even out of state gyms like Evolution Martial Arts from Ohio. One of the marquee match-ups on the undercard will feature red-hot prospect Jake Roberts squaring off against a very talented kickboxer from Ohio, Mark Poupard. Poupard is relatively unknown to fans of this area, but has racked up an impressive list of accomplishments in America's rustbelt. Fighting out of Toledo Grappling and Evolution Martial Arts, this Carlos Elias blue belt has chalked up a 5-2 MMA record with an even-more impressive 5-0 record in kickboxing matches. The 23-year old Poupard feels confident in the match-up, although he admits he hasn't seen much footage on Roberts. "I've seen a little," Poupard said. "I feel my striking is far superior as well as my ground attack." When he makes the trip to St. Charles on Thursday, Poupard will be traveling with main event competitor and teammate Josh Robinson. The two trained together in preparation for Friday's event, traveling to many of the top gyms in the Great Lakes region. "I've been with Josh Robinson for the duration of the camp and we have trained absolutely everywhere," Poupard said. "We've been to Cincinnati to train with Justin Edwards, Rich Franklin and Chris Mierzwiak at JG MMA, and have traveled up north to train with the Detroit superstar Daron Cruickshank." Despite the long journey west, Poupard sees the opportunity to raise his stock in the Midwest fighting circles. "I'm very grateful for the opportunity to spread my name to other parts of the country," Poupard said. "A win against a top ranked opponent from another state will not only show my talent to Missouri and Illinois, but also shows everyone around Michigan and Ohio what me and my gym is all about." Poupard realizes he's being brought in as "the other guy", but there is no lack of confidence here as he plans on disappointing the local fans. "I'm not traveling seven hours to be beaten," Poupard said. "I plan to walk into his backyard and beat him in front of his home crowd." While Poupard is an unknown commodity to the St. Louis community, his opponent is building quite a buzz. Roberts recently won Spire's Breakout Fighter of the Year for a great 2012 that saw him victorious over Atonio Atkins and a very game Jake Buheler. Roberts (5-0) trains out of St. Charles MMA and is coming up on three years of training. "I don't really know what my fighting style is yet," Roberts said. "I'm at the stage of my career where I'm just starting to put the pieces together." Training under the watchful eye of coach Mike Rogers, Roberts trains on all aspects of MMA so he's not too worried about crafting a specific gameplan for Poupard. "No disrespect, he's an amateur from Ohio, and I'm an amateur from St. Louis," Roberts said. "They might as well blindfold both of us until the ref asks if we're ready." Although ranked in the top 10 for area welterweights, Roberts doesn't see much of a future for himself in this division. "Win, lose, or draw, this will probably be my last fight at 170," Roberts said. "I'm tired of being shorter than my opponents." Roberts dreams of one day opening a Vaghi Jiu-Jitsu affiliate in Hawaii, but for now he's focused on the task at hand. "Its going to be a show, win, lose, or draw, people come to see a fight, and I'm going to give them a fight," Roberts said. "We're gonna go in the cage, try to beat each other up, and shake hands afterwards." Also sure to entertain the fans is a matchup of two highly touted bantamweights looking to make waves in a crowded, talent-stacked division. Damian Newman (12-2-1) has notched six submission victories, but a tapout won't come easy against Gracie blue belt AJ Siscoe (4-1). "I would like an opportunity to do some jiu-jitsu" Newman said. "I see this as similar to the Berger fight with lots of scrambles and not being able to hold onto each other too long." Newman was just in the cage three weeks ago for Shamrock Fighting Championships where he defeated Andrew Berger. "I like having fights this close together," Newman said. "It keeps me focused and I'm always in shape." Watch as the fight goes deep if the tide turns in Newman's favor. "I've heard that he cuts a lot of weight," Newman said. "As the fight wears on I feel like I will have the advantage. I'm used to being the lighter, quicker guy. I have a lot threats that I can use." On paper this fight looks to feature two athletes with exceptional ground games, from very different backgrounds. Newman trains with the SouthSide Fight Club in South City with veteran kickboxer and street fighter, "Mean" Mike Green. Siscoe trains under Gracie black belt JW Wright in O'Fallon. Different parts of the city, one common goal: be victorious on Friday night. For more info on AJ Siscoe, check out this great video from our friends at Bishop BJJ.